Welcome to arrange your next conference with us in excellent facilities. Here you can work, discuss and plan for the future in peace and quiet. The kitchen will of course prepare a delicious meal and if you have a lot to do you can stay overnight and continue the following day. After work in the afternoon/evening you can gather in our lounge or arrange som fun activities in the park or with som of our local collaborators. Book the entire hotel for yourself and your organization! Maybe you have items on the agenda with a high digree of confidentiality, or perhaps you only want to work entirely without distractions. Then you have the possibilty to rent the entire hotel. 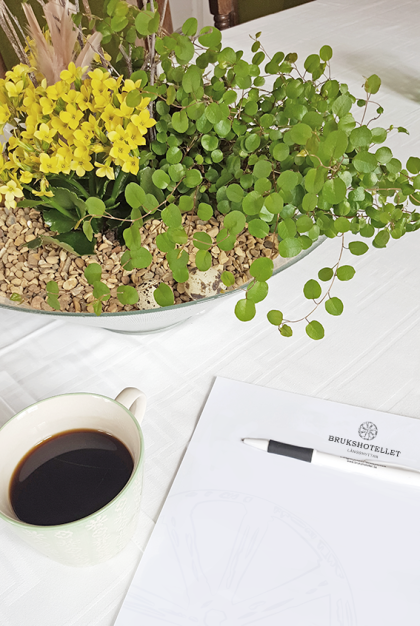 Our conference facilities are suitable for small to medium sized conferences where your board, steering group or comapny section may be entirely alone, both day and night. You can trust that security and confidentiality is guaranteed. 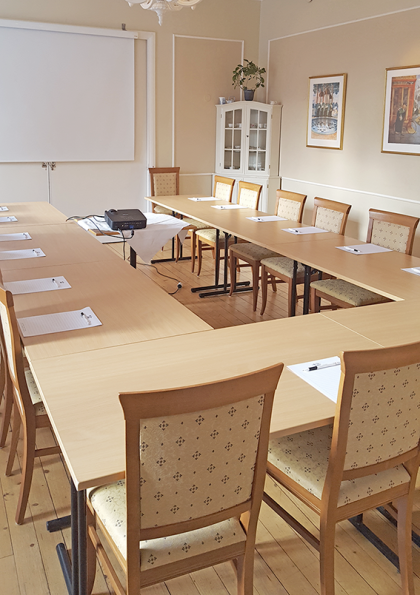 The main conference room has seating för 24 participants and is equipped with whiteboard, projector and WIFI. If you have specific requests we will try and meet them. Please contact us so we may plan your next conference or meeting together.